When it comes to skincare, there are a lot of brands who promise the world but fails to deliver. 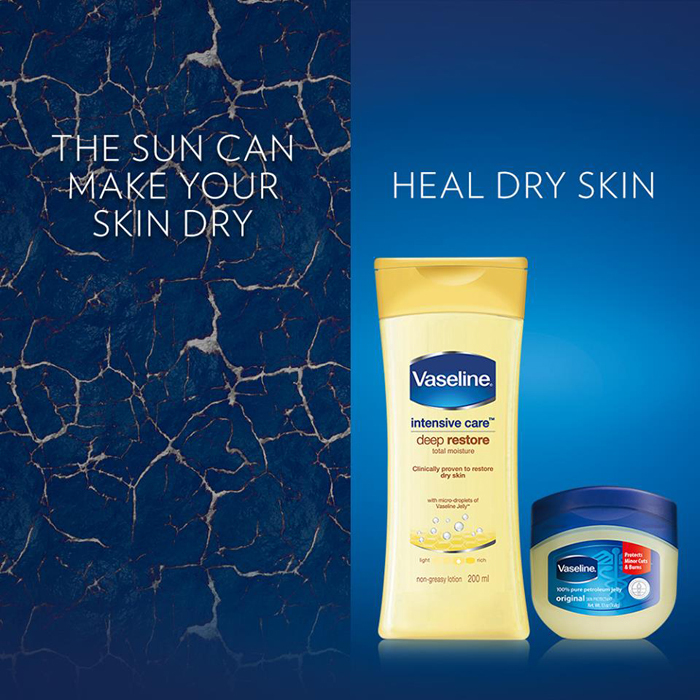 Vaseline took it up a notch by showing us proof on how they could heal dry skin through a leaf experiment. It's so cool, you guys. Hehe. See photos below! In this extreme Manila heat (which strips our skin of moisture and makes it rough & flaky), we definitely need something to protect our skin. If Vaseline could do it with leaves, imagine what it could do to dry skin! :) I am a huge fan of their petroleum jelly. I use it on my lips and when I have burns. It really works. So I'd advise all of you to keep a jar or two. Plus, I've been using their lotions (specifically the Healthy White UV lightening) for more than a year now. It keeps my skin moisturized, healthy and smooth. But here's an exciting news!!! The new Vaseline lotions have petroleum jelly in them. That's 2 products in one! More protection for our skin. They heal dry skin from within with by going deep within the epidermis to HEAL dry skin and restore lost moisture. That’s the Healing Power of Vaseline.